Most people, when hit by a death in the family, or the illness of a loved one, out of propriety at the very least, and more likely, love, put off trips, a golf game, or a party during a time of mourning. But our President, one Barack Hussein Obama, apparently can’t even muster enough care about the United States or ambassadorial staff to at least act like he is affected by events in the Middle East. 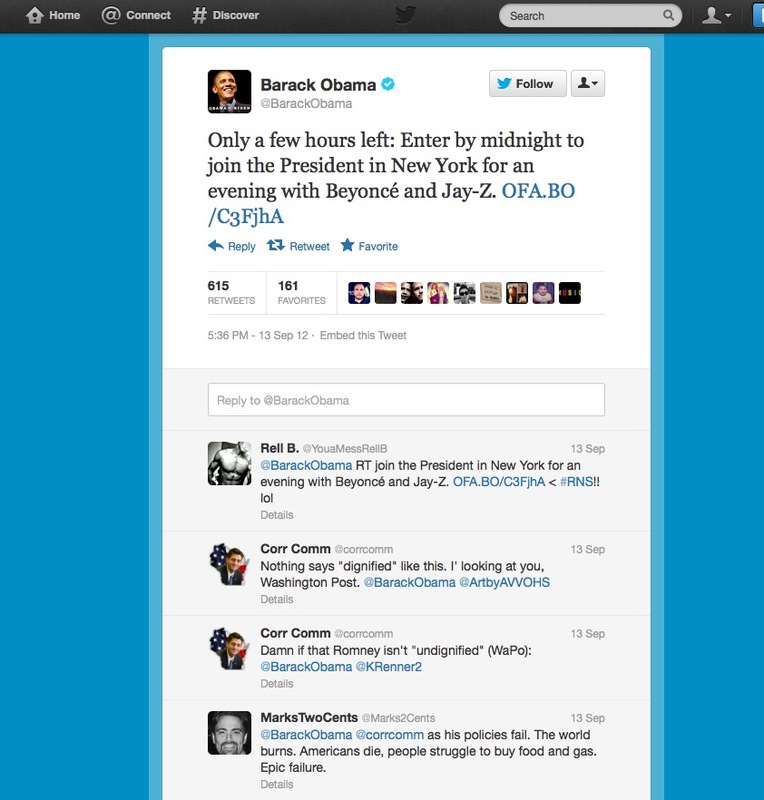 So concerned about the raging violence, mostly directed at the U.S., Obama Tweeted excitedly about a future party with Beyonce and Jay-Z. 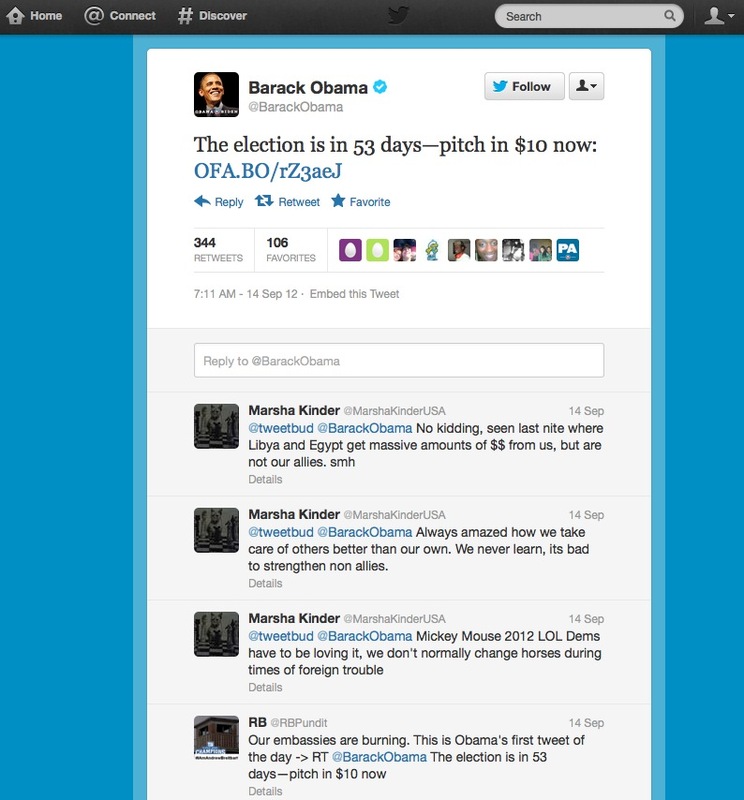 On September 14th, Obama was Tweeting for money. Wouldn’t most people find this distasteful and at least give it a rest for a few days?